Home News How can women bosses expect funding if they don’t apply for it? How can women bosses expect funding if they don’t apply for it? ANOTHER day, another report pushing the victim status of women. This time it’s the British Business Bank (100 per cent owned by the government) which has produced a report about the gender imbalance in venture capital (VC) funding for new businesses. The report, ‘UK VC & Female Founders’, is full of the usual stuff implying hidden discrimination and disadvantage for women. But guess what? It says: ‘The proportion of all-female teams which approach a VC (5 per cent) is approximately the same as the proportion which are funded (4 per cent)’ [page 8]. You would think this implies that the venture capital process seems fair in this respect, wouldn’t you? That girls and young women – who outperform boys and young men at school and university – are making their own choices about how they live their lives, and are not showing up to venture capital offices in the same way that they are not queueing up to be dustmen (thank you, men). But that doesn’t fit today’s Official Narrative. So let’s look at the response to the British Business Bank’s report. The Daily Telegraph announced: ‘Female entrepreneurs get 157 times less funding than men’. It tells us: ‘Women-only funding teams were given £32million in 2017, while male-only teams received more than £5billion’. And [our] ‘Women Mean Business campaign has highlighted the funding gap for female entrepreneurs in Britain . . . 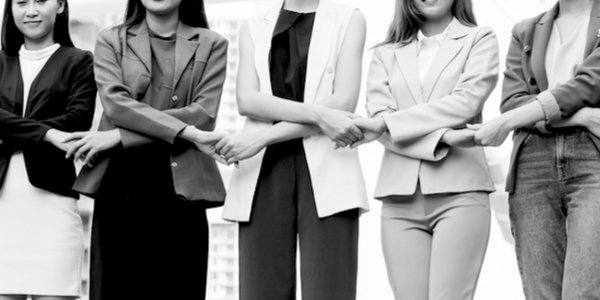 Female start-up founders are missing out on billions of pounds of investment every year.’ The Telegraph never mentions the inconvenient fact that all-women teams constituted only 5 per cent of those who actually applied for funds. It is kind of relevant, but gets in the way of the ‘funding gap’ and ‘missing out’ narrative. And actually, how exactly are you missing out if, instead of applying for venture capital millions, you are having coffee with your elderly mother or doing volunteer reading at your child’s primary school? By the way, this brings me to a totalitarian whiff in the report. It says ‘Britain is missing out on a huge pool of talent’, and ‘To supercharge our economy, we need to do more to pull down the barriers that are stopping women accessing finance. There are millions of women there with the energy and ideas to drive us all forward’ [page 3]. Sorry, mum – I’m going to stop meeting you for coffee because I need to go and ‘supercharge our economy’. Sorry, school – I hoped the kids were benefiting from my share of Britain’s ‘pool of talent’, but apparently not so. Britain is missing out. I need to go off and redress the tech-gender-balance, raise a million, and invent a reading app so that adults don’t need to read to kids any more. At the report’s launch, according to the Telegraph, Liz Truss, Chief Secretary to the Treasury, said: ‘In the oil industry and politics, I have been told to play the game, not to rock the boat and keep quiet. We are brought up to be compliant. We need to be disruptive and make our voices louder.’ If Truss says she was told ‘not to rock the boat’, I’ll believe her. However, I have worked for various government and private sector organisations for nearly 30 years and I’ve never once been told ‘not to rock the boat’ or to ‘keep quiet’. We are brought up to be compliant? No. I don’t buy the narrative. I’m bored with the narrative. Now I want to turn to what the poor old venture capital industry is currently dealing with. Read and weep. The British Business Bank report was written in collaboration with Diversity VC, a ‘non-profit partnership promoting diversity in Venture Capital’. Diversity was invited to provide its own comments within the report and to explain how it uses workshops to address some of the problems, working alongside Fearless Futures, a company which ‘uniquely works within organisations to engage people in critical thinking to understand and challenge the root causes of inequalities and to grow powerful new leadership for transformative change’. Diversity use an ‘intersectional approach’. They have a problem with gender initiatives: ‘The women who benefit tend to be white, middle class, able-bodied, heterosexual and cisgender. That is to say, that while they are women, the other dimensions of their identity are what we might call the “default” identities in our society. The impact of this is that our policies and endeavours exclude women who experience barriers because of additional “non-default” identities’ [page 38]. Who says straight women benefit more from gender initiatives than lesbian women? Show me the data. Why is a report by a government-owned bank using the term ‘cisgender’? I object. Who says certain identities are the ‘default’ identities in our society? I find that offensive. Why is a Conservative Chief Secretary to the Treasury endorsing this nonsense? Apparently last year 22 partners from 14 VC firms took part in workshops provided by Fearless Futures and Diversity. ‘The day-long programmes explored: The ways in which privilege and inequalities manifest across race, gender, class, sexuality, faith and ability, and what may occur when they overlap.’ They also explored ‘the ways masculinities manifest as a possible issue in the sector and the behaviours that inform and enable issues like sexual harassment. The opportunity to spend time on the ways interconnected inequalities inform how this plays out also offered powerful ways to understand and tackle this issue at the root’ [pp 38-39]. I did not make that up. Tip for the writers of the report: If you are a sane and intelligent woman who wants to think and speak freely, would you rather (1) be one of the 22 partners from the 14 VC firms attending the above day-long workshop? Or (2) have a coffee with your mother, volunteer at the local primary, and come home in time to cook yourself a delicious dinner? Keep your funding gap. Keep your PC VC.